Moodle is a system that is easy to install and its code is easy to change and customise. The structure of the database tables and modular code is also clear. If you feel the need to adjust something in Moodle, it's possible to do so if you have some knowledge of the PHP programming language. If you need a new feature or function, you can search for and install a plugin created by one of the many Moodlers around the world, or you can spend a little time creating your own plugin. This is how I've experienced using Moodle in response to the needs of university courses and my own research interests. 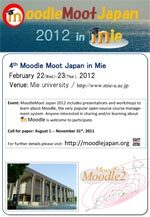 I will demonstrate and introduce you to some concrete examples of customisations of Moodle I have carried out. 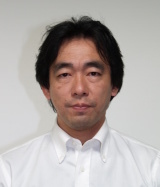 Professor Toshihiro Kita has been an active promoter of Moodle in universities and elsewhere, and has been energetic in solving technical Moodle issues: he has made public a Japanese version of Moodle RPM for Vine Linux; he was the lead translator of William H Rice's book (Moodle E-learning Course Development); and he has been the author of a series of Moodle articles in the GiJutsuHyoRonSha Web Site titled, "Using and Customizing the E-Learning System Moodle". Moodle has grown from being the product of one developer to being the work of 22 full-developers, around 200 contributing developers, and a community of non-developers who contribute in many ways. Being an open source project, you may think that Moodle development is guided by random decisions made by many, but in fact Moodle processes are becoming highly refined. I will explain, in non-technical terms, the processes followed when maintaining and improving Moodle and how you can be involved, even if you are not a developer. As well as his Keynote, Michael de Raadt is also giving a presentation titled, "Moodle Plugins: past, present and future", and conducting a workshop, "Upgrading plugins for Moodle 2". 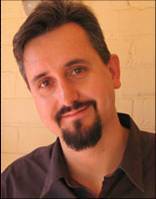 Martin Dougiamas, Moodle Chief Developer, Moodle HQ in Perth, Australia will make an Online appearance. Martin will speak about the future roadmap of Moodle over the next few years, outlining new directions as Moodle adapts to changes in education and technology. 三重県にようこそ！ / Welcome to Mie!